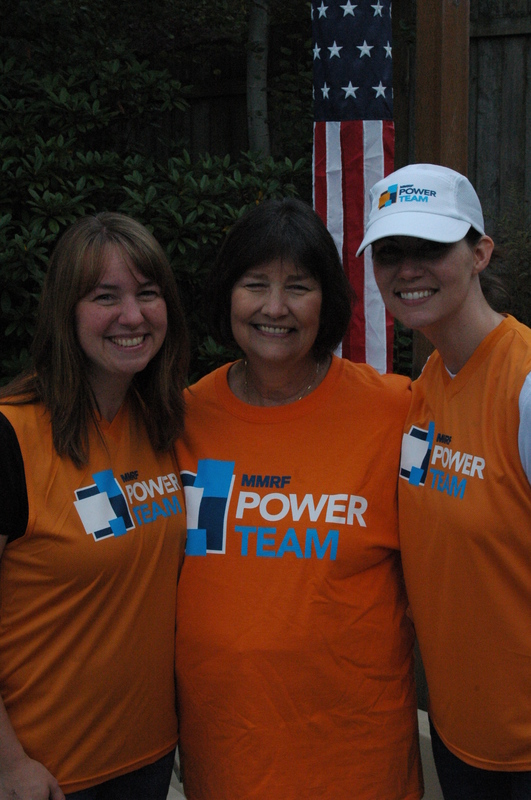 Picture of Mom and her running girls. As of this morning, I have achieved my original goal of raising $2000 for the MMRF!!! So exciting! I still have 19 days to go until the marathon so I have bumped my goal up to $2500, it would be amazing to go above and beyond!! Honestly, I love to run in the fresh morning air. Something about the cold that burns your lungs and the quiet streets puts me in my happy place. This is more true since moving back to Washington (summer Texas mornings are not what I would call refreshing.) But Texas had it’s perks- like days in the 70s all the way back in March. Anyway, I digress. There is NOTHING like running through the valley with the sun behind the foothills and Mount Rainier bright and right in front of me, inspiring me to run on.